Pedreira do Galinha (literally “The chicken’s quarry”, but more on that later) is one of the most important paleontological sites in Portugal and one of the most amazing places that I had the opportunity to visit. So, what is this magical (from a paleontological point of view) place? Well, here lie the fossilized footprints of the biggest beings on Earth that ever existed: the Sauropod Dinosaurs. 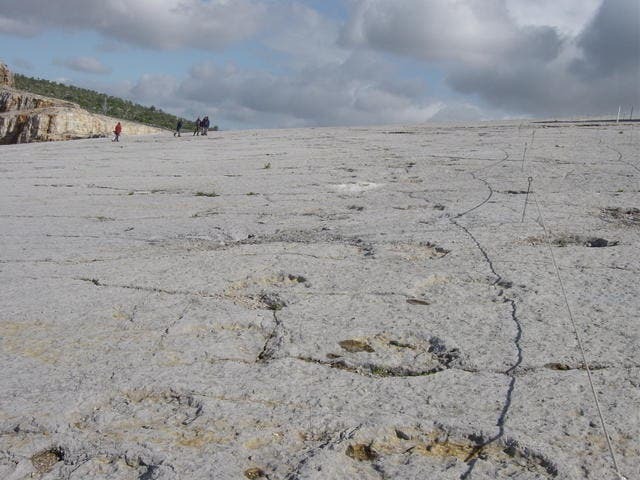 It seems that the area between Leiria and Fatima, was a marsh field where these big herbivorous dinosaurs used to travel 175 million years ago in the Jurassic period. 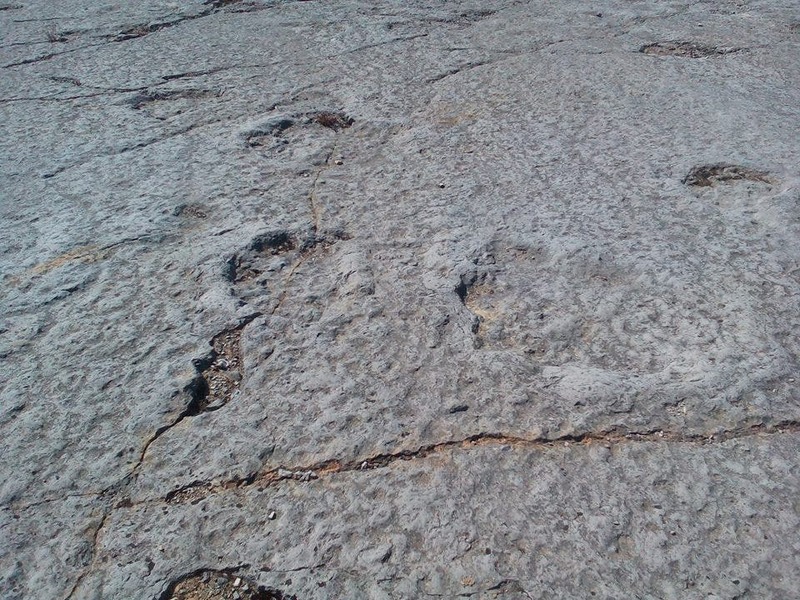 Because of the highly sedimentation processes that occurred in the area, those footprints were trapped in time and were discovered during the work at a quarry. The owner of the quarry which was a businessman named Galinha (that’s why the natural monument has that name, it has nothing to do with chickens) decided to donate the whole quarry in order to become one of the most well preserved areas of the Sauropods footprints in the world. The study of the Sauropoda footprints offered lots of information about the animals’ character and how they travelled and behaved. 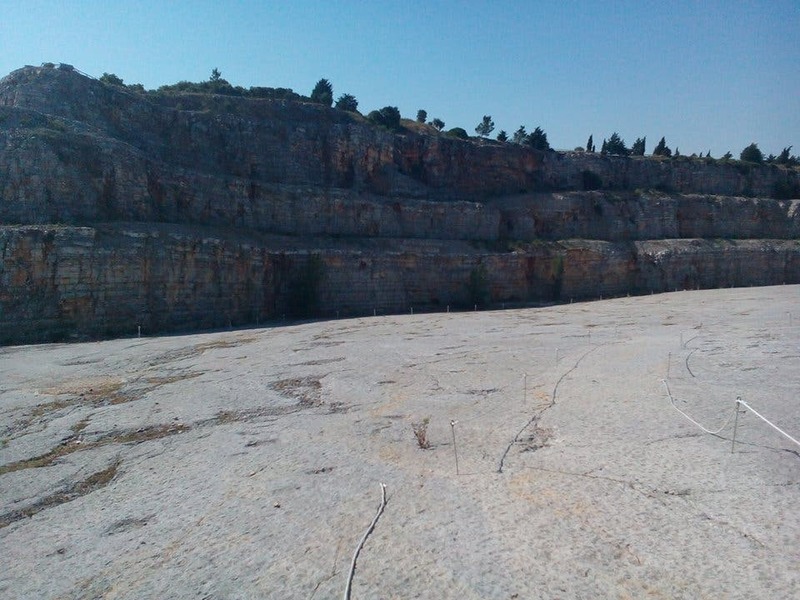 An overview of the Galinha quarry.